Gauteng's largest Progressive Jewish Congregation. Rabbi Sa'ar Shaked: Does biblical archaeology prove the bible is true? JTalk - Does biblical archaeology prove the bible is true? Rabbi Sa'ar Shaked will talk about biblical archaeology and the fascinating information we can learn from it about the daily lives of people who lived in biblical times. 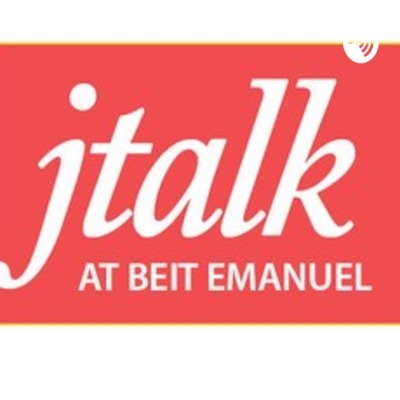 JTalk - The Incredible Story of Spain’s Secret Jews This week’s talk will be presented by Daniel Barnett, former chairman of Limmud SA and presenter at Limmud UK and Australia. Intense anti-Semitism in 14th century Spain resulted in thousands of Jews converting to Christianity. Despite this, many continued practicing Judaism, usually in secret. Suspicion of them resulted in Inquisition, exile and execution. Instead of fading into history, those who survived achieved enormous success in their new lands. Some sought to build an autonomous Jewish state in the Holy Land, creating Jewish centres in Tiberius, Hebron and Safed. Others made enormous contributions to building Western society as we know it today. Professor Ruvi Ziegler of the University of Reading explores the precarious status of Eritrean and Sudanese asylum seekers in Israel. Having crossed the Israeli-Egyptian border without authorisation, they are defined as ‘infiltrators’, a charged term which dates back to border-crossings by Palestinian Fedayeen in the 1950s. While Israel refrains from deporting them to their countries of origin, recognising that such forced removal could expose them to risks to their lives, it refrains from granting them protection status, seeking instead to reach 'third country' agreements with sub-Saharan African states. The regularisation of asylum in Israel, including legal recognition of ‘refugees’ and ‘asylum-seekers’, is long overdue. We are privileged to host Professor Ziegler, an Israeli legal scholar, currently teaching in the UK, with impressive credentials as an internationally renowned expert in international refugee law.